Use AICR’s clear, easy-to-read and evidence-based information to help your patients make healthy diet, weight and physical activity choices for cancer prevention and survivorship. 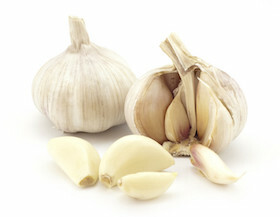 Get the latest research on how garlic link to lower cancer risk, along with nutrition information, tips and recipes. This comprehensive handbook provides guidance to help cancer patients and their families cope and recover from a diagnosis. This brochure contains some answers for eating challenges that can occur during treatment. It explains steps to maintain a healthy appetite and energy level. This booklet is about making simple changes to your diet and lifestyle that you can start doing today.